Starting a business is hard work - countless sleepless nights, infinite hours of work, excess coffee, deadlines, and everyday challenges. But wait, so is bearing and raising a child and that’s only 20% of our mother’s responsibilities. Our mothers teach us life lessons everyday which we may not otherwise stop to ponder over and think about. 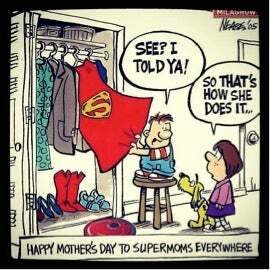 This mother’s day I want to share what I’ve learned and what we as entrepreneurs can learn from our mothers - the real super women in our lives. Well, whether it was getting us dressed for school, or teaching us how to tie our shoelaces, or making sure we catch our school bus on time, our mothers were always persistent and patient in their actions to achieve the goal they wanted - making us independent and resourceful. In a startup, persistence is the key to achieving your goals especially when you try multiple solutions that may not give immediate results.No one teaches this better than mom! Mothers are natural multitaskers. Whether it was managing household chores with work or managing a house full of guests, as a child I always wondered how she did it so seamlessly, when I grew up I realized how the art of multitasking was intertwined with the art of delegating. Multitasking and starting a business go hand in hand especially when you’re bootstrapped, you assume the role of chief everything officers instantly. But its important to understand that at times , doing everything can result in nothing and certain tasks must be delegated. How many skinned knees and bruised hearts have our mums put their band-aid of empathy and compassion on? more than we can count. The art of empathy and compassion in bussiness can do wonders - putting yourselves in the shoes of your customers and understanding your employees concerns and needs , give us valuable insights to not only better our business strategy but build an environment of trust and growth. Negotiating is a skill that our mothers have a knack of and their skill and ability are something businesses strive to have. Our mothers have a multitude of demands on them and they learn to prioritize them efficiently. They quickly separate what’s most important from what’s not important and put all of their energy into what they determine as essential. By constantly focusing on what’s most pressing and spending all their valuable time working on just those things, moms provide an essential lesson for anyone wanting to be a great leader. Happy Mother’s day supermoms and my pillar of strength – my mom who has been instrumental in teaching me these lessons that help me grow as an individual and an entrepreneur.